1) Click "Start" button, in the "Run" edition box, enter "msconfig", and press Enter key. 2) In the pop-up "System Configuration" dialogue box, select "Tools" tab, and then select "Change UAC Settings"; Click "Launch" button (Figure 1‑1). 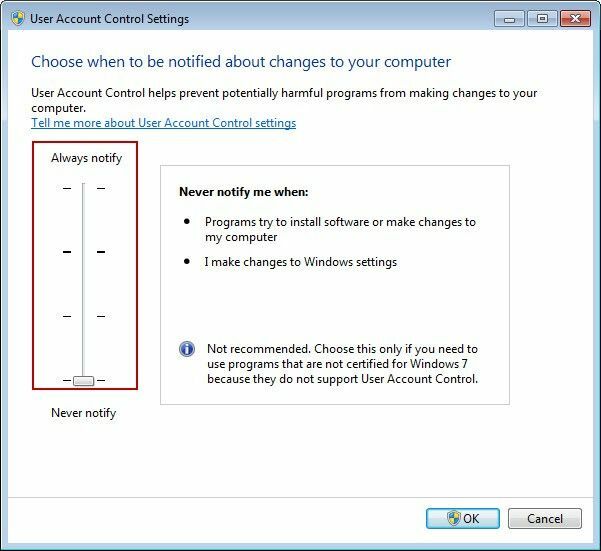 3) In the pop-up "User Account Control Settings" dialogue box, drag the slider down to set the UAC value for "Never notify" (Figure 1‑2). We have created a video - "UAC Optimization" (start from about 08:26). 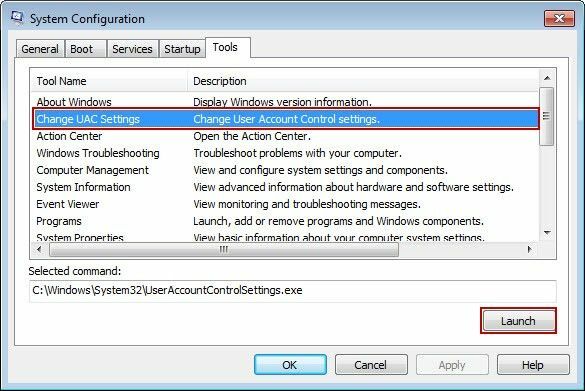 The reason for disabling UAC is to prevent windows from prompting to run any applications. Every time you run an application, UAC will open and prompt whether to run the application or not. So disabling UAC will disable this behaviour and allow you to run your application without any confirmation prompts.